The Detail Mate is an excellent multifunctional auto detailing cleaning tool that can be used to quickly and easily clean both tight spaces and larger areas for both interior and exterior vehicle components. The lightweight and long neck design makes it perfect to reach areas that normally would be hard to easily get to and get clean. Cut labor time in half and save HUGE on chemical usage! Our Pink Power is an excellent interior soap to use in conjunction with The Detail Mate. The Detail Mate is perfect for AC vents, consoles, cup holders, seams in leather seats and door panels, pockets, pedals, levers, floor mats, carpets, door jambs, trunk jambs, wheels, grills, convertible tops, vinyl tonno covers, virtually anything that needs scrubbed and quickly cleaned! With The Detail Mate’s 3 different size brushes and bristles you will be able to tackle just about any job that needs to be quickly cleaned. Nine brushes are included, 3 of each size. 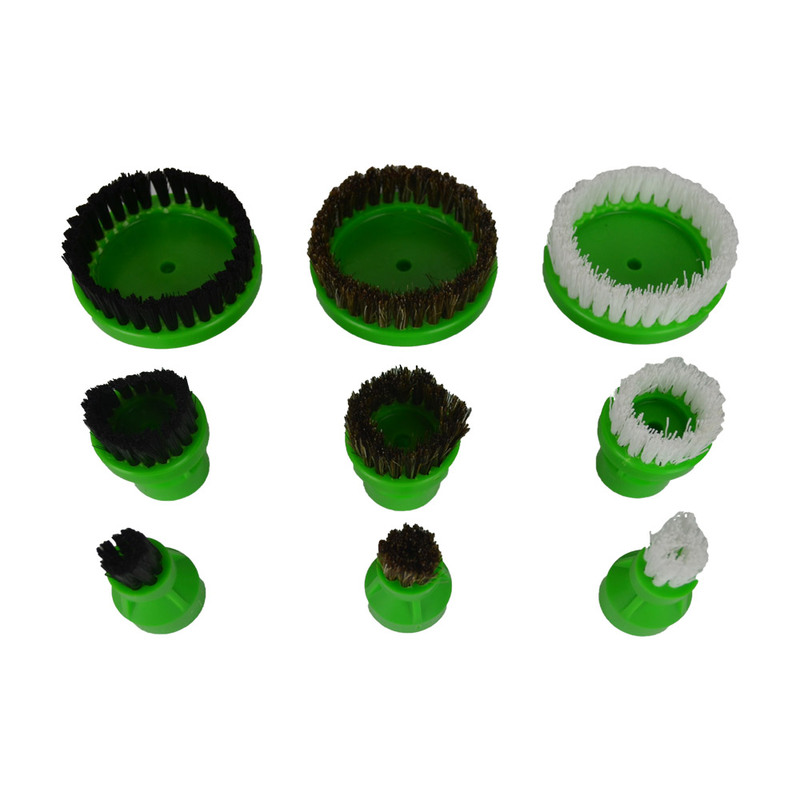 You receive 3 soft horse hair bristle brushes, 3 medium duty nylon brushes and 3 heavy duty scrub brushes for tires and rubber mats. 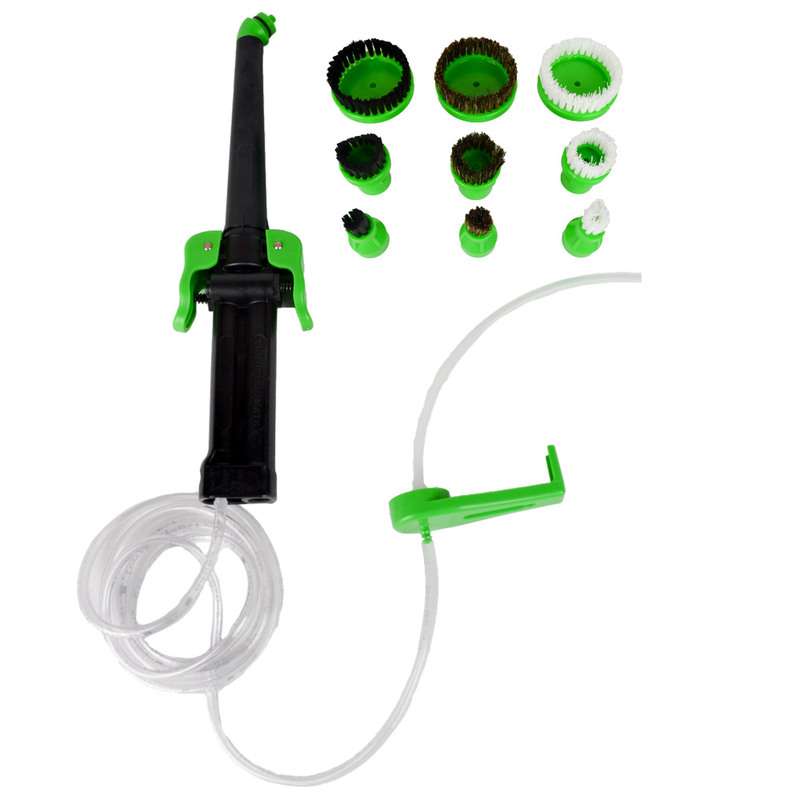 The Detail Mate easily connects to your favorite interior or exterior soap container and also to an air compressor line. Be sure to watch our video so you can see the super value of this great auto detailing cleaning tool. You receive The Detail Mate and 9 round brushes. 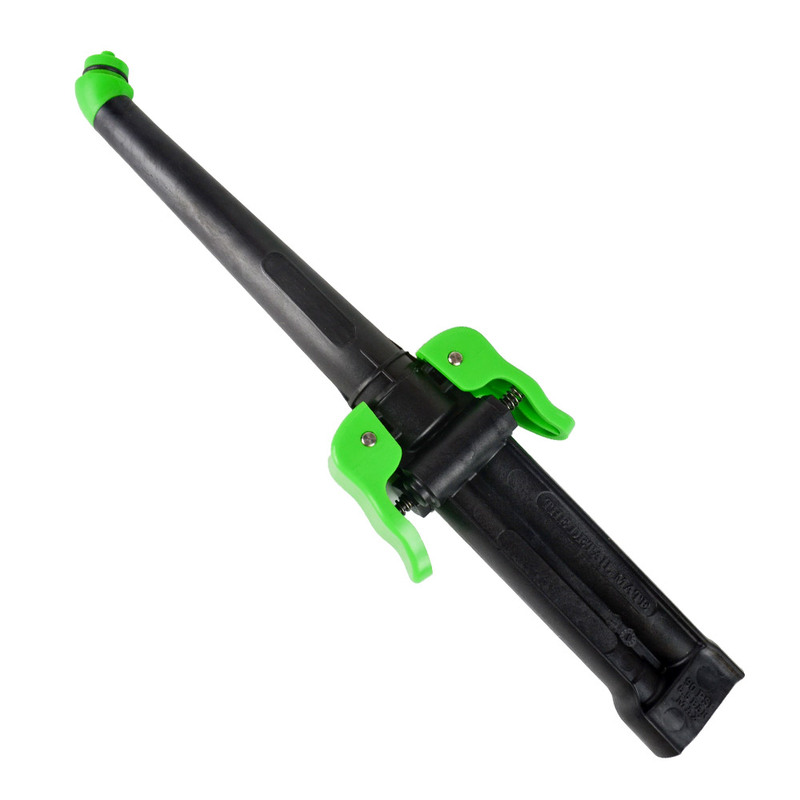 You will need a quick disconnect to attach to The Detail Mate for air compressor line hook up.